We miss the presentation/runway event coordinated by the Newhouse School of Public Communications and Visual and Performing Arts. 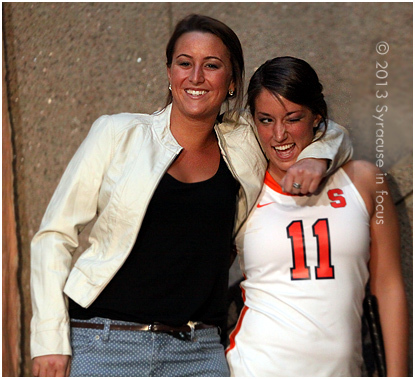 It was one of the highlights of the Syracuse fashion experience. 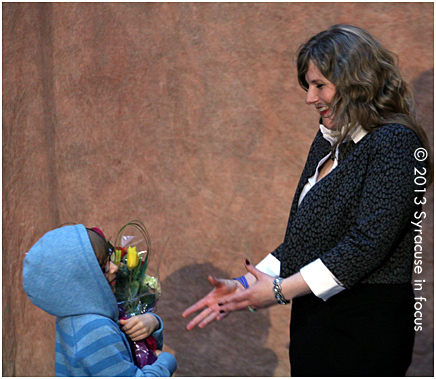 The 2008 politically-themed show was called Freedom of Expression. 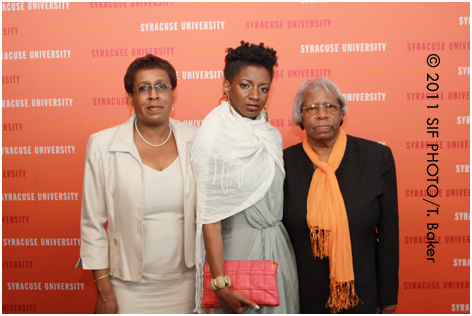 Here’s further evidence that Syracuse University faculty are the most stylish in the Conference. 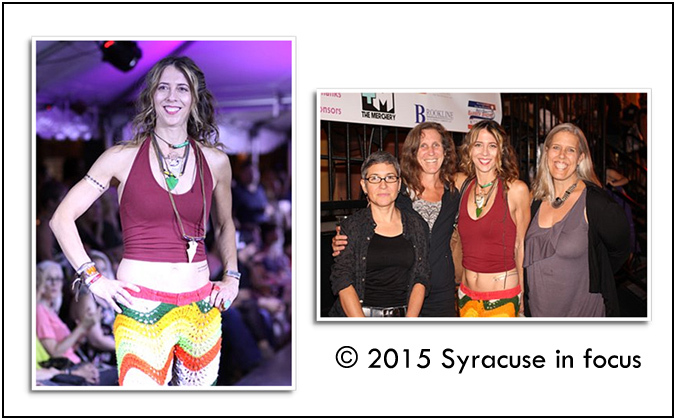 VPA professor Holly Greenberg models accessories from the Michelle DaRin Collection during the Syracuse Style (left) and enjoys the post runway festivities with her friends. 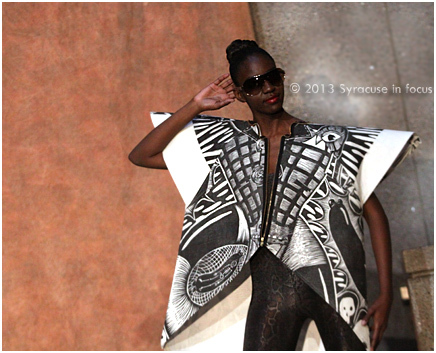 Last night’s show in Armory Square was the finale for Syracuse Fashion Week. 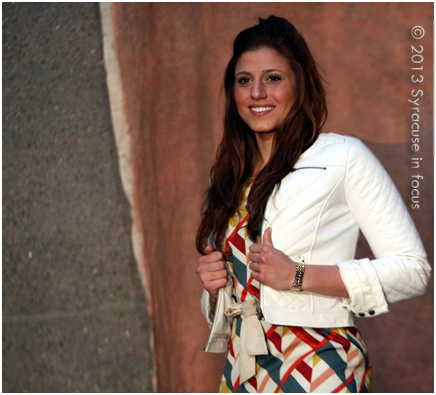 Holly Greenberg is an award-winning large format painter and print maker. 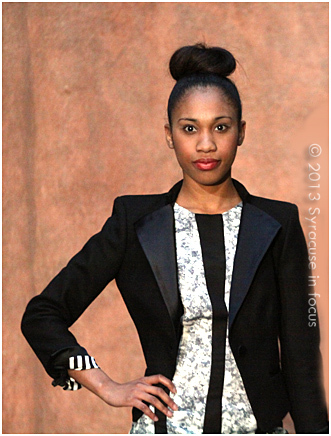 Last night was the 6th Annual Milestone Fashion Show at the Newhouse School of Public Communications. 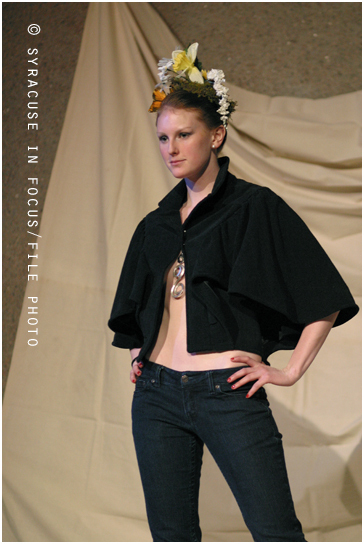 The major organizing principle during the show was affordable fashion and thrift wear. 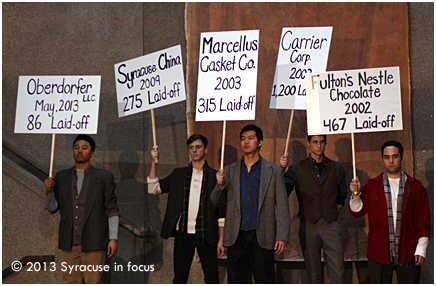 The program (a collaboration between Newhouse and VPA) featured six sections divided into a 9 to 5/Work to Play theme. 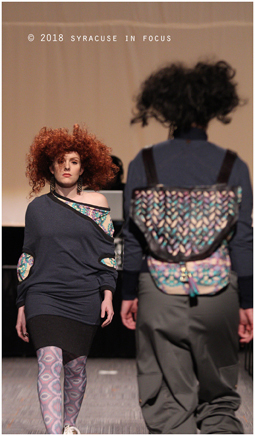 Kudos to the students, who showed that fashion can be a barometer for the times and still be creative. 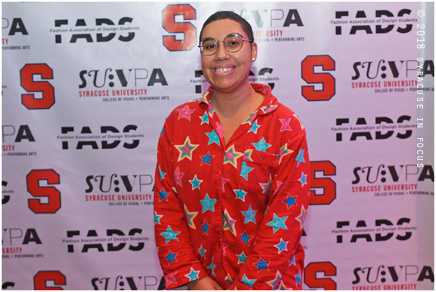 Here are some images from the SU VPA Senior Fashion Show held on Thursday. 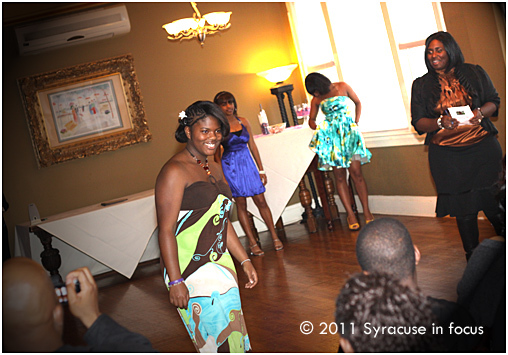 Designer Sade McClinton with her models. Designer Syreeta Chantal Herbert (center) with her family in New York city. 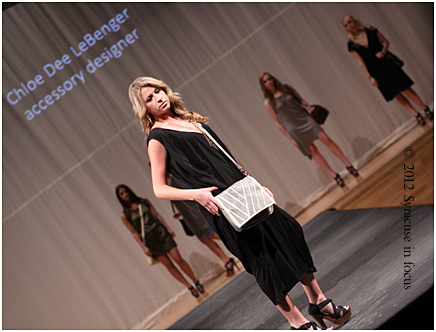 Herbert’s designs were featured in the 2011 Gala on Thursday. 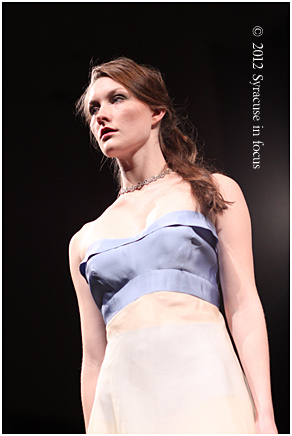 Here are photographs from two fashion shows we attended last week: one in Syracuse, and one in New York city. Designer and model Dionna Owens takes a bow at the Swagger & Sweets Fundraiser at the Palace Theater in Syracuse on Sunday.